First Listen: Natalie Maines, 'Mother' On an album of impeccably chosen covers, the Dixie Chicks singer shows how her fearlessness blends with compassion and stunning vocal chops. This is singing as a way of uncovering the truth, as difficult as it might be to bear. 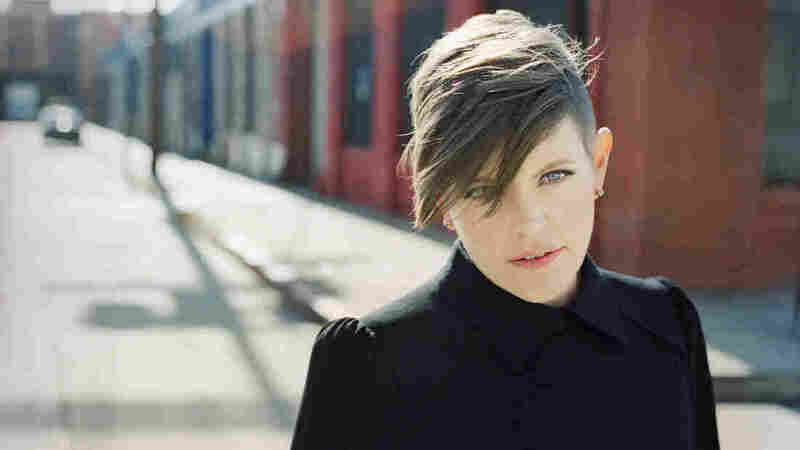 Natalie Maines' new album, Mother, comes out May 7. I hope that, somewhere in her beautiful Brentwood home, Natalie Maines has a jar full of nickels that gets fuller every time someone calls her "fearless." The Dixie Chicks singer is well-known as a firebrand who never hesitates to share her progressive views about both politics and pop music. When her band ruled the country charts a decade ago, Maines made waves, not only for a left-leaning worldview that made her a target of conservative wrath, but for musical eclecticism that challenged Nashville formulas. The Texas-born Maines updated the image of the country outlaw to suit the era of alternative rock and Third Wave feminism. She became an activist, speaking out against the Iraq War and fighting for the release of falsely accused prisoners the West Memphis Three. She befriended Eddie Vedder, married actor Adrian Pasdar and worked with L.A. singer-songwriter Pete Yorn. Eventually, the country label stopped making sense altogether for Maines; around that time, she started making Mother, a self-portrait rendered mostly in cover songs that shows how her fearlessness blends with her compassion, wisdom and stunning vocal chops. Ben Harper, the bandleader and pedal-steel virtuoso who's also made a career outside the usual pop categories, co-produced Mother and enlisted many of his usual bandmates for the sessions. The versatility of these seasoned players allows Maines to explore the full range of her singing abilities. In Harper's Stones-y "Trained" and Patty Griffin's delirious "Silver Bell," Maines proves herself a fierce rocker. She goes intimate and raw in Vedder's lovely ballad "Without You," then smooth and cool in Dan Wilson's perfectly crafted "Free Life." The Americana twang of The Jayhawks' "I'd Run Away" suits her fine; so does the Tom Petty-ish steam heat of "Come Cryin' to Me," a Dixie Chicks song that never made it to the group's last album. Then there's the title track, a Pink Floyd classic that Maines transforms into a real mother's stricken reflection. Sampling from great material by writers known for busting genres, Maines frees herself — not only from her country past, but from any other definitions that would limit her. The only fearlessness that really matters for an artist, though, is the kind that makes you push your gifts to their limit. Maines does this in the two most stunning songs on Mother. The first is Jeff Buckley's "Lover, You Should've Come Over," performed as the sort of careening soul-metal epic that few vocalists even dare to attempt. Maines not only hits every wild, electric note; she masters each one, owning the song without succumbing to churchy clichés or arena-rock grandstanding. It's one of the year's most brilliant performances. Mother's other high point is the only new song co-written by Maines herself. "Take It on Faith" does what its title implies: It uplifts with the story of a love strong enough to survive a bruising, made even more inspiring by grandiose keyboards and emotive strings. It would be easy to overplay a song like this — to go for the chest-thumping climaxes and a tearful resolution. But Maines has the guts to sing without showiness. Her pleas communicate real pain; her attempts to comfort are tempered by the blue stain of uncertainty. This is singing as a way of uncovering the truth, a real woman's truth, as difficult as it might be to bear. This is Natalie Maines really being fearless.